What are the penalties if an employer does not have workers’ compensation insurance? The State of Illinois requires all public or private employers with at least one employee to secure valid workers’ compensation insurance to cover job-related injuries. 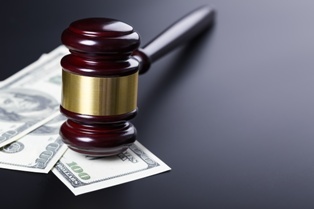 If the employer does not obtain coverage, the business itself may face steep fines and closed doors, while the corporate officers may be held personally liable for damages. One of the most important consequences for employers who fail to provide workers’ compensation coverage is the loss of the exclusive remedy protection. Under workers’ compensation law, employees are forbidden from suing an employer in exchange for benefits. However, if the employer did not secure workers’ compensation coverage, the employee is free to file a lawsuit directly against the employer. In addition, employers named in these lawsuits cannot use certain defenses (such as negligence of a co-employee) and the burden is on the employer to show freedom of negligence relating to the injury. Work stoppage. Investigators with the Illinois Workers' Compensation Commission (IWCC) Insurance Compliance Division can issue a work-stop order on an employer for failure to secure workers’ compensation insurance. IWCC can request the intervention of state law enforcement to prevent any employee from occupying the place of employment until proof of insurance is provided and the work-stop order is lifted. Criminal charges. Illinois law allows individuals such as corporate officers, directors, partners, and members of an employer limited liability company to be charged with criminal acts and face personal liability for failing to provide workers’ compensation coverage. Individuals who knowingly violate the insurance requirement may be found guilty of a Class 4 felony, while those who negligently fail to provide coverage may be charged with a Class A misdemeanor. Fines. IWCC investigators may issue citations to employers for insurance non-compliance in an amount between $500 and $2,500, which must be paid in addition to providing proof of valid workers' compensation insurance. If the employer does not comply with the citation, the Commission may assess a civil penalty of up to $500 per day for each day without insurance, with a minimum fine of $10,000. If you have suffered a work injury in Illinois, we can help you get the compensation you deserve. Contact the experienced workers' compensation attorneys at Tapella & Eberspacher today at (855) 522-5291 or fill out our online contact form to schedule your free consultation.